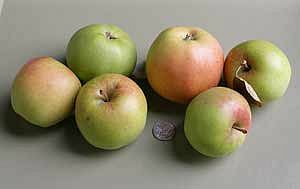 Crispin - Apple Tree £12.75 - Dessert Apples - Late Season Apple Trees and Fruit Trees For Sale. Buy at competitive prices with wholesale discounts. This is a very vigorous tree producing lots of large Golden Delicious type apples that are sweet and juicy with a honey flavour. It was created in Japan in 1948, where it is known as Mutsu. It tends to keep its shape when cooked, making it an excellent contender in apple pies, cooked desserts and salads. 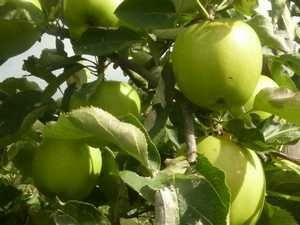 Stored under the right conditions it will also make a good and versatile late season apple.